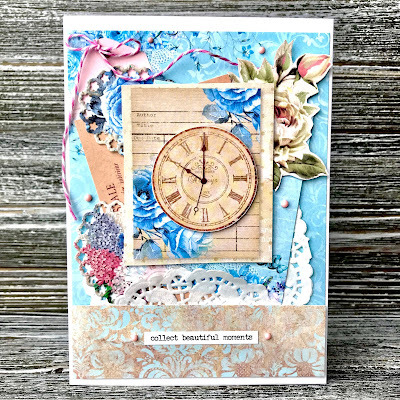 Take white cardstock, trim and fold to make a 5x7 card base. 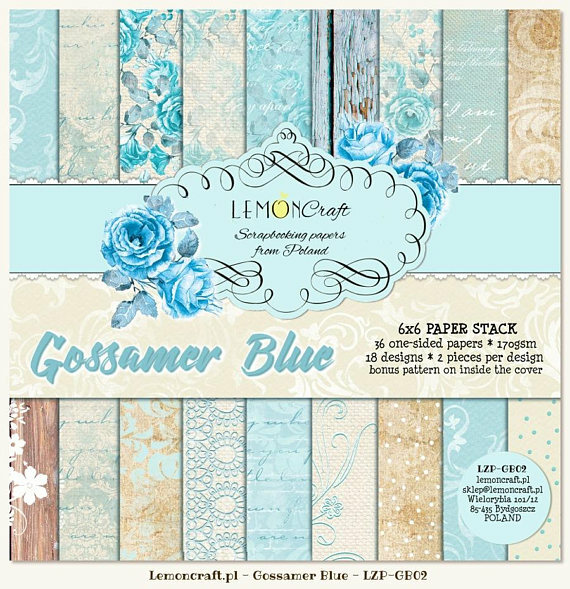 Take the blue white lace floral paper from the Gossamer Blue Pad and trim to 4.5 x 4 3/4 inches. 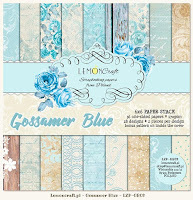 Take a tan, blue floral scroll paper from the Gossamer Blue Pad and trim to 1.5 x 4 3/4 inches. 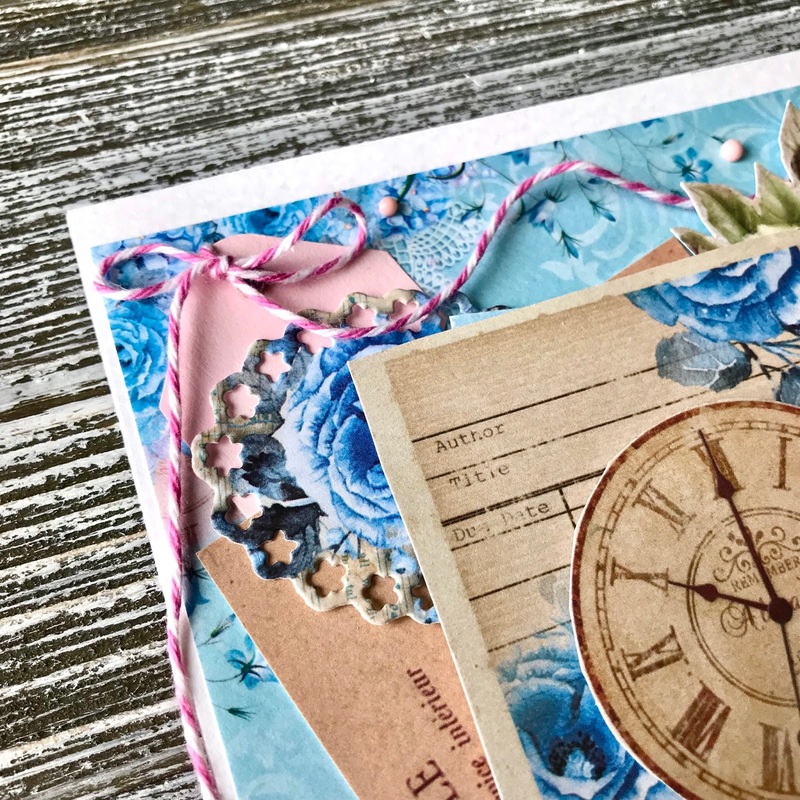 Adhere the blue white lace floral paper to the card base. 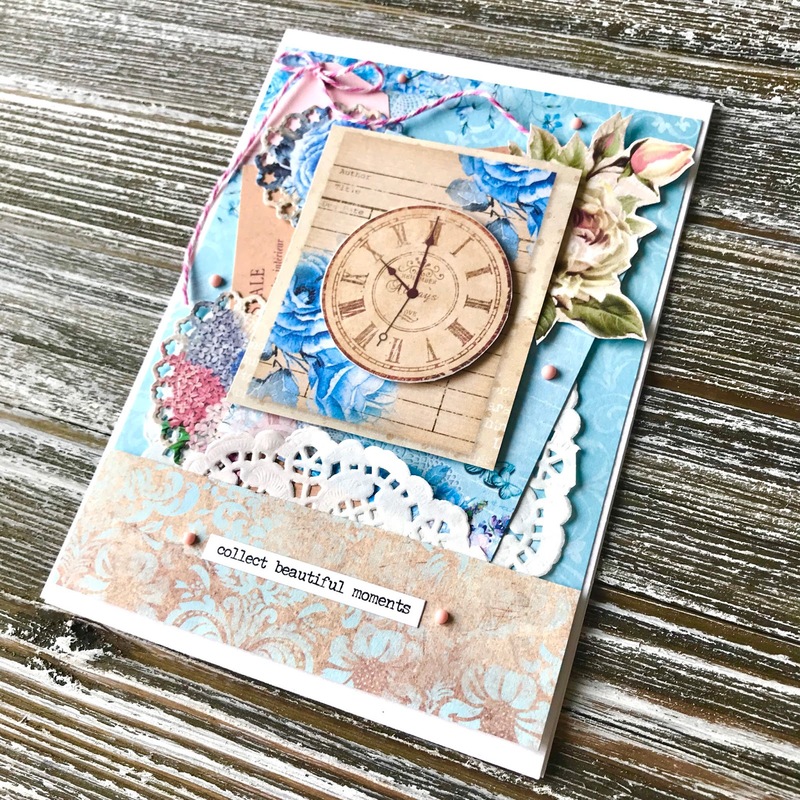 Take 1 of the paper doilies (an intricate round die cut from white cardstock can be substituted) and adhere to the bottom of blue background paper with only three quarters on the blue paper and the rest can be trimmed off or left (will be hidden). 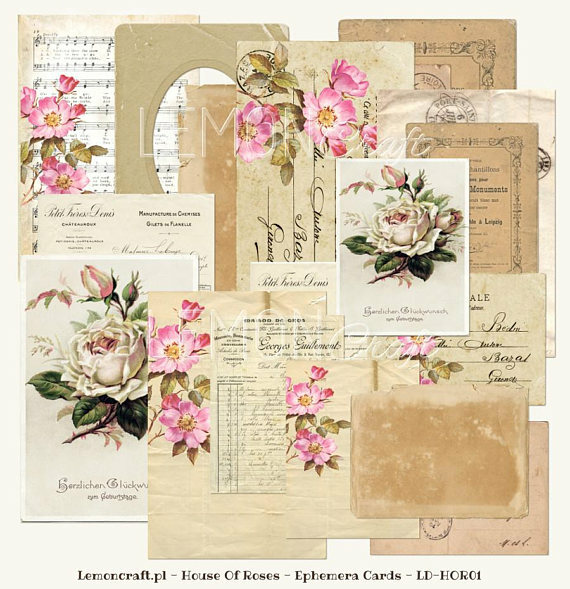 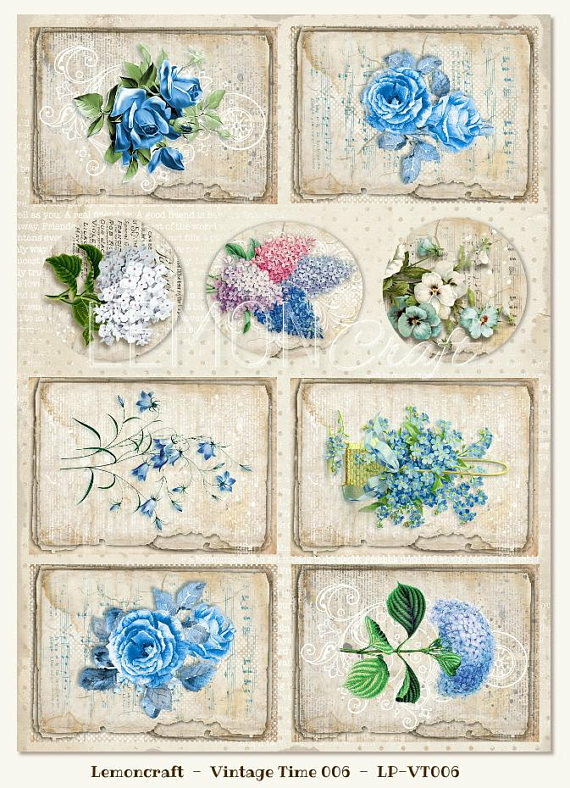 Have fun choosing the ephemera from the fussy cut pages, such as the floral boquets and choose 3 tickets total for the layering. 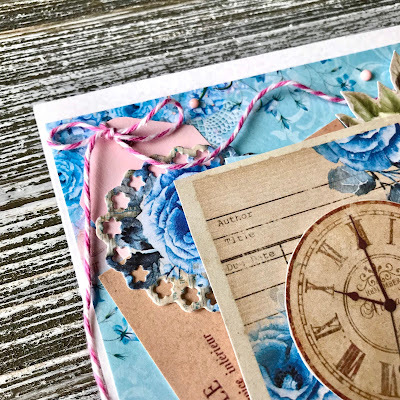 Once fussy cut images are cut or die cut and tickets add foam tape to the back and layer. 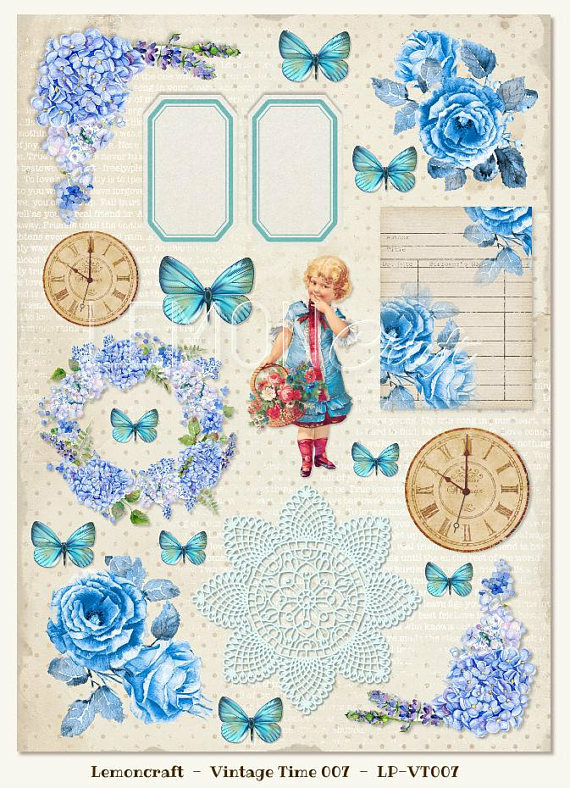 Layer in a fan style, so that the tickets and ephemera line up along the bottom edge of the blue background paper, but position the bottom pieces a bit lower so that they look like they are coming out of a pocket. 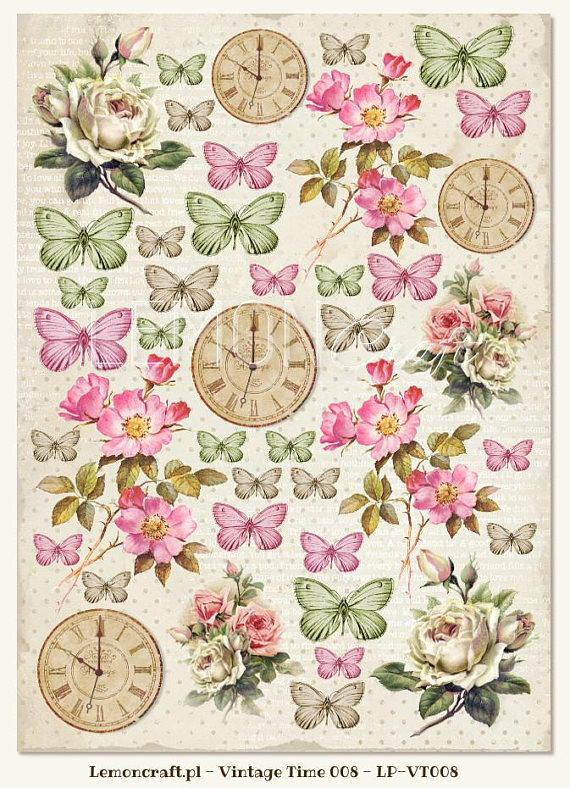 Have fun positioning the floral pieces according to your tastes and adhere half of a second doily on top once finished as shown in the picture. 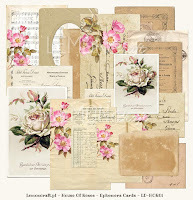 Take the tan floral scroll paper strip, apply mounting tape to the back of it and adhere to the bottom of the card. 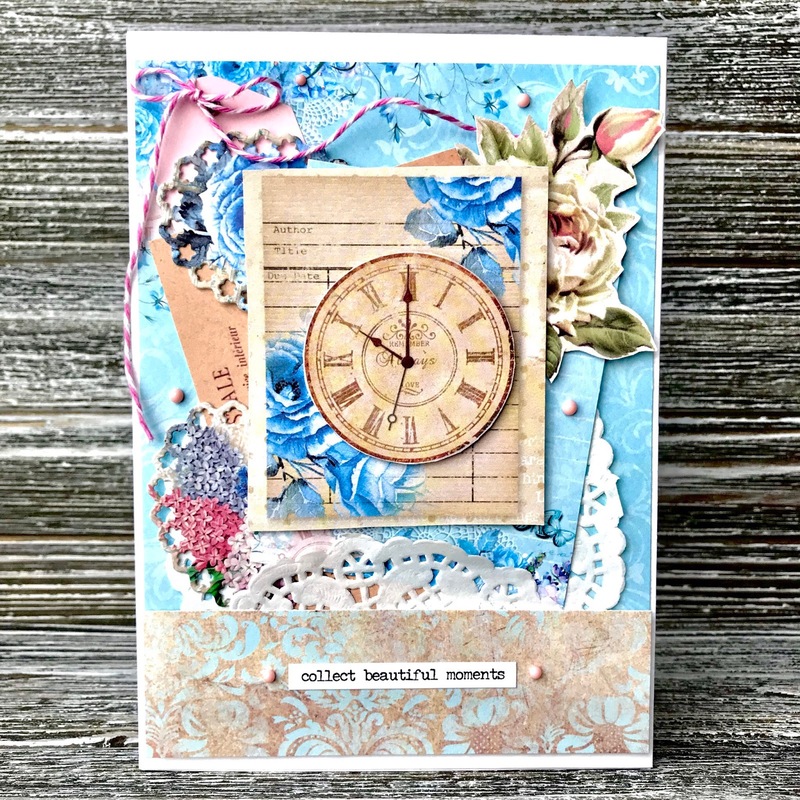 Apply your chosen sentiment and decorate your card with enamel drops of your choosing. 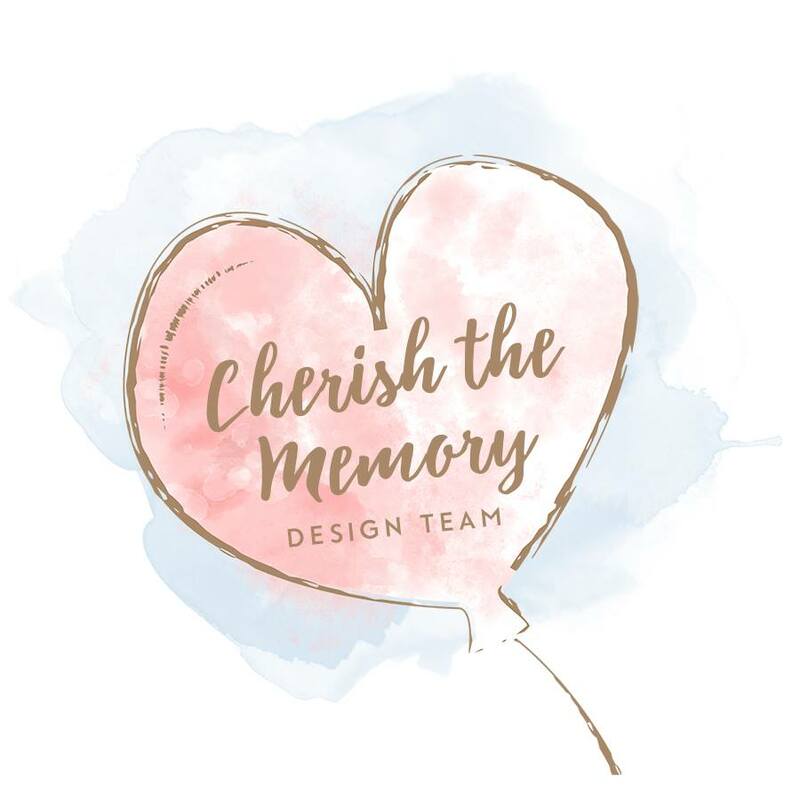 Make sure to shop the LemonCraft collection at Cherish the Memory! 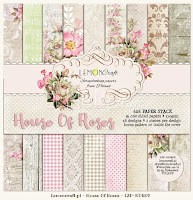 Specific links are linked in the materials list.